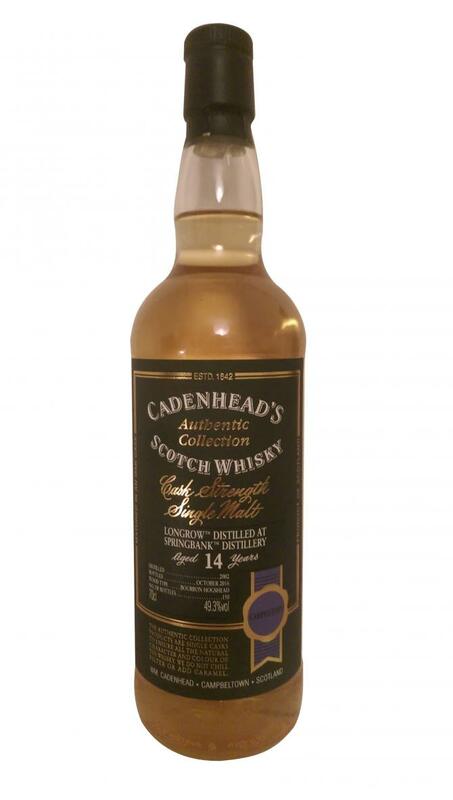 Cadenhead for a Springbank from Longrow! fruits on fresh citrus fruits, then cooked! huge departure, stronger mouth still, withdrawal in finish, good, but is quickly lost! a very good dram without thinking! N: Light creamy peat, a little drier than Ardmore, more soft depth than Kilchoman - waxing lyrical. Light sour citrus notes paired with very fine smoke. Once your nose has gotten used to it, it really starts. Pure melon. Juicy sweet pineapple. 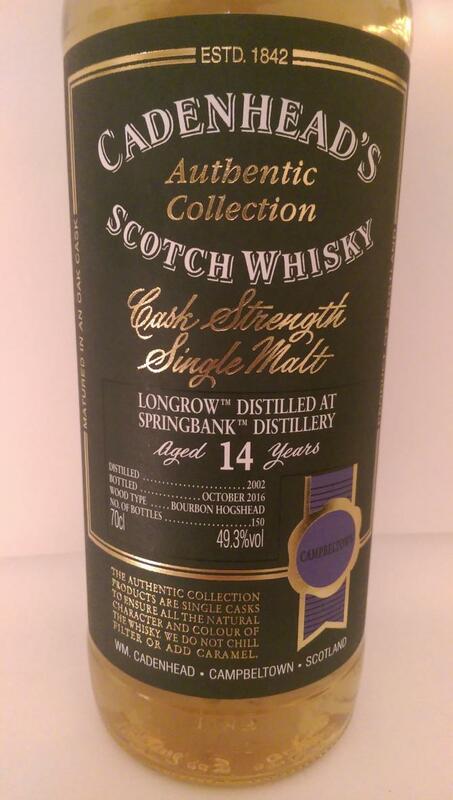 At the very end, the sea breeze that is typical for Springbank appears in the background and a very slight phenolic smokiness comes through. Sweet and salty, a light creaminess and again very fine smoke. Citrus fruits and pineapple come to mind again. Over time, the whole thing is creamier and yellow fruitier. Mango could be that. Here, too, dominated the saltiness and the smoke is now for the first time a little clearer. A slight Pfeffrigkeit remains long in the mouth. Finish: Short mineral flavour, slight ash tone, apples and orange peels.